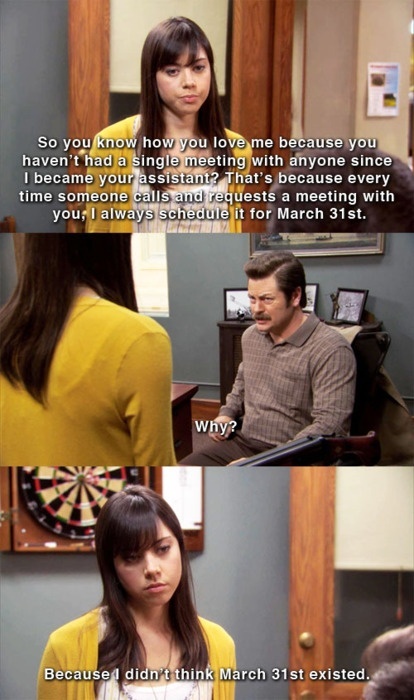 On this day, March 31st, April Ludgate mistakenly scheduled 93 meetings for Ron Swanson. Unfortunately for April and Ron, March 31st does exist. But that doesn't have to be a bad thing. 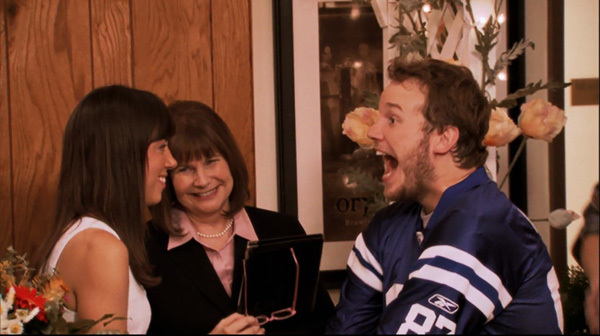 To celebrate, we've decided to highlight our favorite Parks and Rec episodes ever. Spoilers will be included throughout this post. Season 5, Episode 14: "Leslie and Ben"
This is the episode that Ben and Leslie get married, and it's one of my favorites of the series if not of any television show ever. (I am that person who loves wedding episodes more than a reasonable amount.) Just spontaneously throwing their plans to the wind and getting married is totally them. 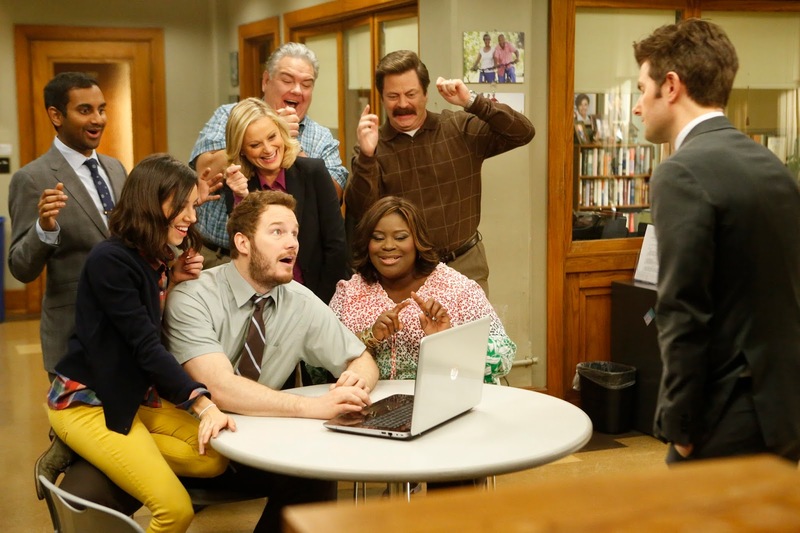 Parks and Rec is a special show in the way that it emphasizes the importance of a person's tribe.We don't watch Parks and Rec simply because it's funny, but also for the people in the show and the bond that they share. This episode in particular shows everyone coming together to support Leslie, the person who is usually out there fighting in the trenches with anyone who needs it. So, at the gala celebrating Pawnee Commons, Ben suggests that they find a way to get married that night. I love that the next scene shows everyone just dropping everything to formulate a plan to (in the words of Tim Gunn who Leslie later quotes) "make it work." It is heart warming. Though plans keep on getting derailed through the night, Leslie and Ben are never discouraged. Especially upon seeing a Li'l Sebastian impersonator through the beautifully falling snow. (His name is Bucky, haha.) 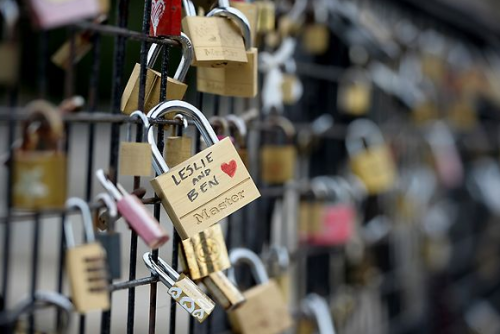 But everything works out in the end because for people like Leslie and Ben it does and should. When people have that level of commitment and determination to make something work, it does. The wedding itself is absolutely perfect for the two of them; it even leaves Tom almost speechless and strips him of pretense. (I thought that was impossible.) Even in the celebration, there are moments that focus on the other characters and their journeys, such as April and Andy as he deals with the news that he's been rejected from the Police Academy. I love the variety and special attention that each relationship is given throughout the series. The importance of supporting one's partner is always emphasized as well as simply healthy relationships. This episode is a monument to the series commitment to those portrayals. As Leslie says, "There were a lot of signs that Ben and I should get married tonight. But, truth be told, we just really wanted to get married. When you're in love, everything seems like a sign. I love my husband. I love my job. And I love my friends. Even though they really can't handle their booze." Season 3, Episode 2: "Flu Season"
One of my very favorite episodes of Parks and Recreation is "Flu Season," and the reason for this is solely that it's downright hilarious. Every part of the episode is on point, and no scene is boring. There are so many plot lines. The first is obviously Leslie getting sick (despite her vehement protests that it's just allergies) with the flu, which spreads to both Chris and April. Ann spends her time taking care of both of them--in April's case, they take out their feelings of hatred on each other, and in Chris' case, Ann gets to see that Chris is human like the rest of us. But there's also the subplot of Tom winning his way into the hearts of some men through a spa date... and the subplot of Ron and Andy's new friendship. And at the very end, Andy and April share one of my very favorite scenes with each other where they begin to reconcile and become the couple we know and love today. ...and so is Chris. My ultimate favorite line from this episode is when Chris tells himself to stop pooping. I love when Andy decides Leslie has network connectivity problems (a line improvised by Chris Pratt himself!) and Leslie's love for waffles over Ben's homemade soup. "Flu Season," while not the most profound Parks and Recreation episode ever, is my favorite because it makes me laugh. And thankfully, Parks and Recreation has so many other episodes that make me laugh as well. It's a show I'm grateful I have in my life, and I will never fall out of love with Parks and Rec. Season 3, Episode 9: "Andy and April's Fancy Party"
There are practically no words for how much I love this episode. Not only is this the first episode of Parks and Recreation with a wedding (there are quite a few of those), but Andy and April are probably my favorite Parks and Rec couple, and this episode is just super hilarious. One of my favorite things about this show is just how many weddings there are. April and Andy start off a tradition of them being spontaneous and in the moment. They invite people for a “fancy party” at Andy’s house, and by the end of the night, they’re married. They didn’t wait because they knew. 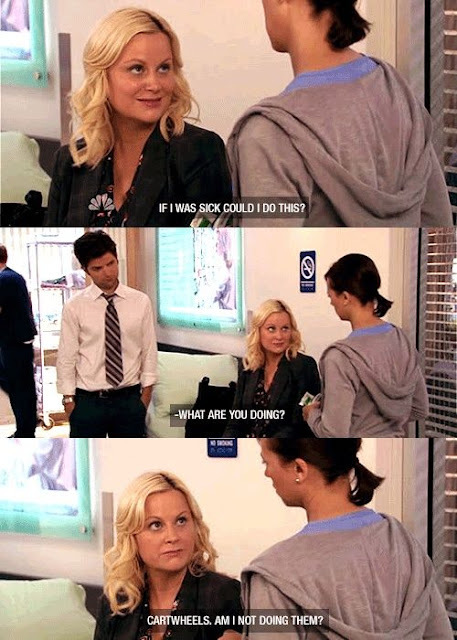 They didn’t care what anyone said (not even Leslie) because they were sure, and even years later, it was one of the best decisions they’d ever made. One of my favorite quotes from the episode is when April says that she usually hates people, but she could never seem to hate Andy, and I think that is one of the purest forms of love. Loving someone for who they are just because you like them more than the rest of the world is beautiful and uncomplicated and what love should be. Along with their feelings of love came a choice, and Andy and April’s choice was to love each other forever, even when things got hard. They have something special. Everything about this episode is so well-crafted. It’s funny ,and it really showcases what wonderful friendships all of the characters have with each other. (I mean, Andy asked every guy in the Parks department to be his best man. He really cares about these people.) Even though Leslie is really concerned when she learns that Andy and April have decided to get married without planning it out, she eventually accepts it and realizes that it worked. The people who work in the Parks department are special and they all look out for each other like family, and that’s what I think this show is all about. Season 7, Episode 13: "One Last Ride"
For me, a series finale can make or break a TV show for me. I've witnessed the end to a lot of TV shows, and some have been sad, bittersweet, or frankly disappointing. I like endings that make me smile and cry at the same time; the ones that bid farewell with a peaceful sorrow. I want to know that the show had a good run and that the writers, the actors, and the producers deserved all that they'd worked hard toward creating. 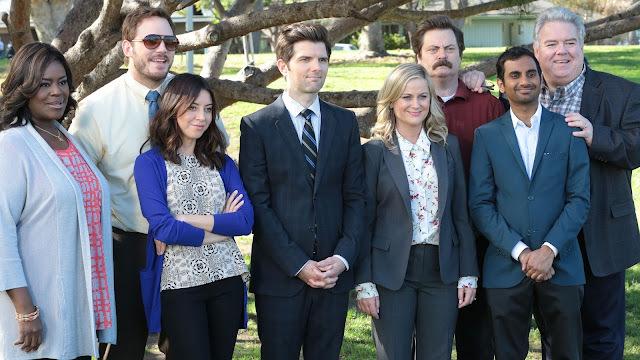 For me, the series finale of Park and Recreation is one of the best finale episodes to a TV show I've ever watched. Second, we get to see the future of every single character--and it's all perfectly matched up. Donna, of course, would be successful and gorgeous as ever. Andy and April would have a kid on Halloween and give him a ridiculous name--or Jack for short. (Which is in of itself adorable since that's Chris Pratt's son's name in real life.) Tom would become successful only to lose it all and then become successful off his failure. Garry/Gerry/Barry/Larry would live to be 100 and have his name spelled wrong on his grave. Ron would get to work in an actual park as a ranger. Ben and Leslie would end up in D.C. doing bigger things in the government. (Like possibly President?) I felt that the writers did an exceptional job giving these characters their stereotypical, yet absolutely perfectly matched, futures. It was unique and fun to see; not many stories show the "what happens next," which just Parks and Recreation another edge to being a fantastic show. Third, the flash forwards are all perfectly written scenes. There's humor, there's nostalgia, and there's just a perfection that can't be matched. The episode does really well to wrap up the lives of these Pawnee citizens, which satisfies me as a fan of Parks and Recreation. I felt everything matched the characters and their personalities well. Overall, the season finale brought back the lovable cast and gave us a glimpse into the future of the lovable characters. Since the show was ending, we don't get to see the next 50 years of the Pawnee crew, but with this episode, we're able to see the possibilities of this future. And for me, that seals the deal on why this series finale was one of the best episodes of the series and one of the best TV show finales ever. What are your favorite Parks and Rec episodes? How will you be celebrating March 31st?